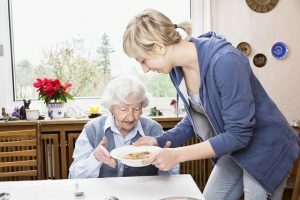 Each year, more than 43 million Americans provide unpaid care to a family member, usually a parent. Most seniors prefer to age in place, but as they grow older and face declining health, they may need extra care at home. In many cases, their children decide to step in and become the caregiver. Serving as a caregiver for a family member is one of the most rewarding jobs you can do. It allows you to spend time with your loved one, and it provides you with the opportunity to ensure they receive the best quality care possible. Every day, adult children are considering taking on the primary role of their parent’s caregiver, advocate, provider coordinator, and manager of all home care tasks. If you are in this situation, here are 5 things to consider before taking on this role. Your capabilities: Are you capable of taking care of your aging loved one all by yourself? If you can, that is great. But if you are juggling their care in conjunction with a full-time job and your own family responsibilities, hiring outside help to manage day-to-day activities and requirements, may be necessary. Understanding your parent’s medical conditions and needs: Are you prepared to take care of your parent’s medical conditions as they progress with age? Becoming the family caregiver means you become their biggest advocate. It is critical to understand their current conditions and possible progressions. Knowing what to expect can help you make better decisions regarding your parent’s care, your level of involvement, and when you’ll need to seek professional support. Caring for someone with Alzheimer’s or dementia, for examples, can be difficult to do alone. Your support system: Do you have family members nearby to help you? As a caregiver, it is very common to ignore your own needs as your parent’s care increases, and this can cause burnout. Caregivers need time to themselves to recharge. Not paying attention to your personal happiness and fulfillment can create resentment over time as you continue to put others’ priorities ahead of your own. If family members cannot step up to give respite care to you, getting outside support needs to be considered. Get things in order: As the family caregiver, are you prepared to have the tough conversations with your folks? To give your parents the best care, it is important to have open discussions about their finances, health, care expectations, advanced directives and everything in between. Understanding the big picture of your parents’ resources, needs and wishes will streamline your caregiving responsibilities. Role reversal: Are you ready to be your parent’s parent? As your parents become older, your role will change as you become the family caregiver. You may have to take over finances, take away driving privileges, make sure they’re eating, bathing or taking their medications. It is somewhat of a role reversal as you become your parent’s parent – the disciplinarian, enforcing what’s best for them and doing so without anger or having your feelings hurt. Also, consider your age and how soon you decide to take on the primary caregiving role. More and more 20- and 30-somethings are becoming family caregivers. A new report finds that many millennials are now filling that role, especially to loved ones who have Alzheimer’s. If you are the caregiver for your aging parents, learn how FirstLight’s Senior Care Services can support you and make a difference in your loved one’s care.